2014 Top 3 overall and top 1 on placement. 2013 Top 3 overall and top 1 on placement. 2012 Top 3 overall and top 1 on placement. 2011 Top 5 overall and top 1 on placement. 2010 Top 5 overall and top 3 on placement. 2009 Top 7 overall and top 5 on placement. 2008 Top 7 overall and top 3 on placement. 2007 Top 9 overall and top 5 on placement. The rankings cover all premier engineering colleges in India, including the IITs. In Placement 2010, IIIT-H has recorded in India the highest average compensation of Rs.9 lac for the undergraduate students. IIIT-H’s Placement 2009 was ranked Top 2, and ahead of six IITs, with 100% placement and an average compensation of Rs.6.1 lac, the highest among all technology schools in the country, by Mint-Cfore carried out Best Engineering Colleges’ Survey 2009. © Copyrights 2019. 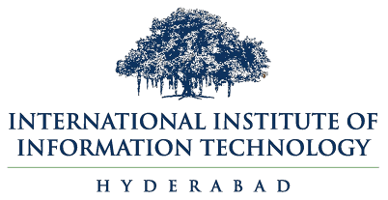 All rights reserved with IIIT, Hyderabad.